click here 4 more info& previews! 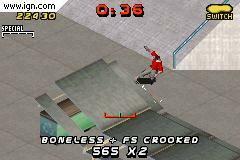 Welcome to the THPS2 for GBA site!! There 1 pic up enjoy! Don't worry I'll be back with some info and pics, 4 now just go to my fav. links! Well at E3 Tony Hawk 2 was amazing to see and play! 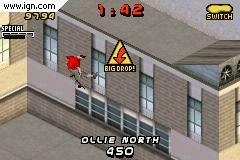 The only downside is that THPS2 doesn't have multi-player and no creat-a-skater or park do to the lack of time Activision was given, they were rushed. But this is still a sweet game! I'm goin 2 update this page often with new pics.